Thank you to everyone who attended our April Procession for Life with Fr. Jason Christian at A Preferred Women’s Health Center abortion mill on Latrobe Drive. See our last post for photos from that event. 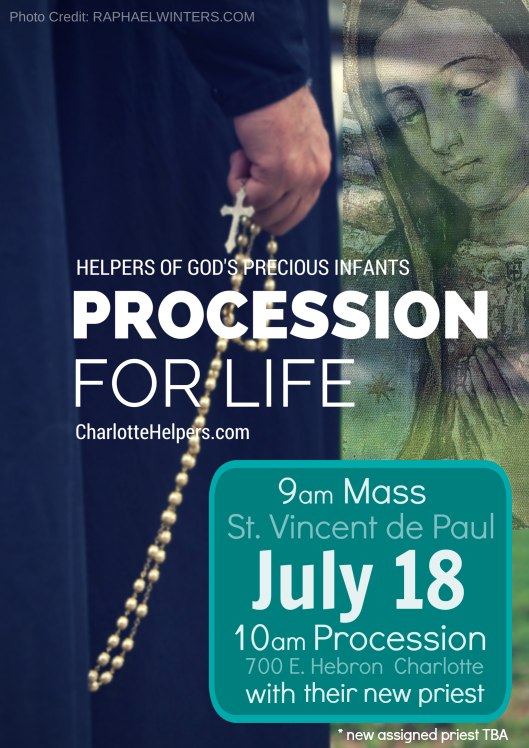 Our next Procession for Life will be held on Saturday, July 18th at St. Vincent de Paul parish. We’ll be led in prayer by Fr. Basile Sede, their new parochial vicar from Cameroon. He is very cool and we’re excited to have him lead this event! Mark your calendars, and we’ll see you there! Please share, download, and print this flier with your parishes. Photos from April 25, 2015 Procession for Life.